In Chattanooga, we’re using sophisticated mapping software to identify locations where outdoor gym installations would serve the greatest need. 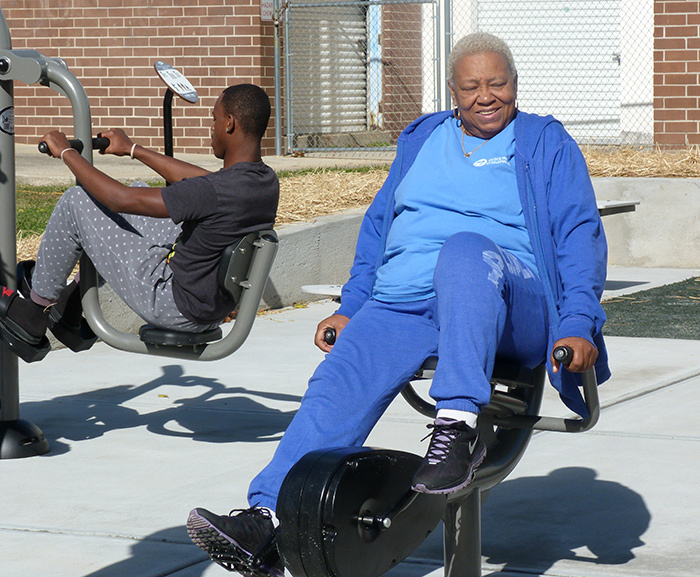 Over the past two years, we’ve opened six Trust for Public Land Fitness Zone® areas at the East Lake, South Chattanooga, Carver, East Chattanooga, Eastdale, and Brainerd Youth and Family Development Centers. Following the successful pairing of a new playground with the East Lake Fitness Zone, the three newest sites all feature playgrounds funded by the City of Chattanooga. Together, these community gathering spaces offer residents of all ages and abilities an opportunity to be active outdoors and with each other. The Tennessee Health Foundation of the Blue Cross Blue Shield has generously supported our work to create Fitness Zones as a model program to promote healthy lifestyles for Tennessee residents.